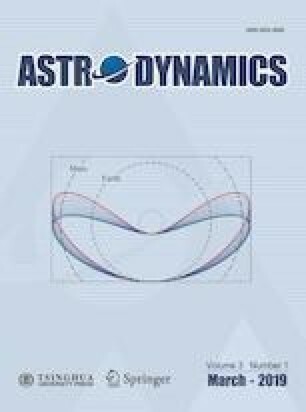 This paper deals with the optimization of the transfer trajectory of a solar sail-based spacecraft between circular and coplanar heliocentric orbits. The problem is addressed using both a direct and an indirect approach, while an ideal and an optical force model are used to describe the propulsive acceleration of a flat solar sail. In the direct approach, the total flight time is partitioned into arcs of equal duration, within which the sail attitude is assumed to be constant with respect to an orbital reference frame, and a nonlinear programming solver is used to optimize the transfer trajectory. The aim of the paper is to compare the performance of the two (direct and indirect) approaches in term of optimal (minimum) flight time. In this context, the simulation results show that a direct transcription method using a small number of arcs is sufficient to obtain a good estimate of the global minimum flight time obtained through the classical calculus of variation. Sauer, C. G. Jr. Optimum solar-sail interplanetary trajectories. In: Proceedings of the AIAA/AAS Astrodynamics Conference, 1976, DOI: https://doi.org/10.2514/6.1976-792. Heaton, A. F., Artusio-Glimpse, A. B. An update to the NASA reference solar sail thrust model. In: Proceedings of AIAA SPACE 2015 Conference and Exposition, 2015, DOI: https://doi.org/10.2514/6.2015-4506.